In “Tarzan and the Strange Visitors,” Tarzan awakens one night to a strange sound (actually, the sound effect for Star Trek’s transporter). He learns the next day that apes appear to have been abducted from the jungle. He teams with an anthropologist, Jill Eddington, to discover what is happening. 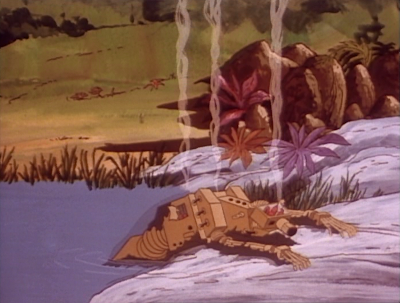 Tarzan and Jill soon encounter a force-field in the jungle, and a robot in the shape of a cheetah. 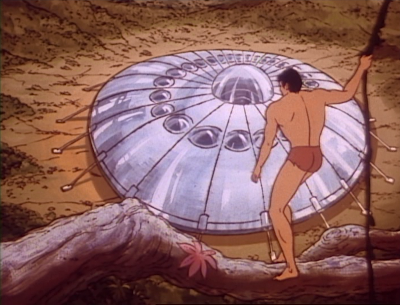 Before long, Tarzan and Jill discover a grounded flying saucer. It is the size of a city, and travels from world to world. The aliens in the saucer have come to the jungle to capture specimens and return them to their homework. The leader, Dr. Krolar, wants to take Tarzan back as well. 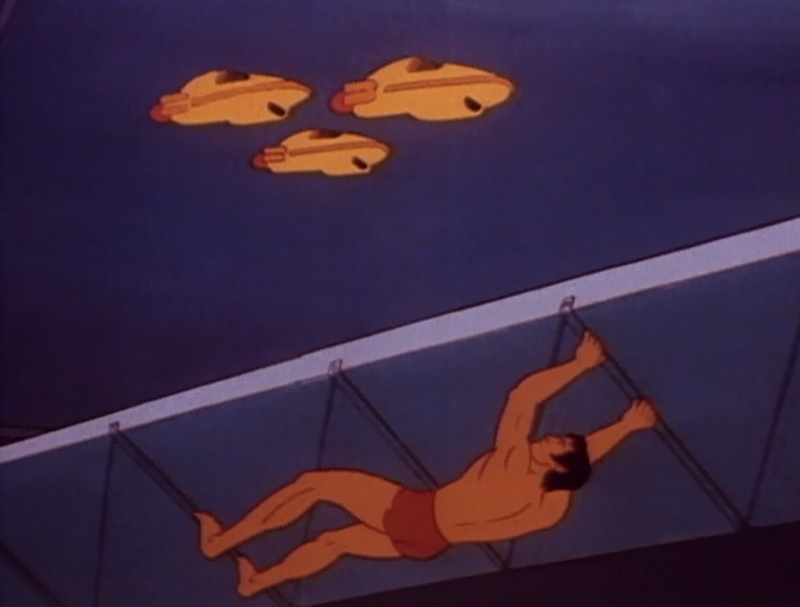 One of his students, Leesa, however, realizes that Tarzan and the other animals should be free. Tarzan escapes and demonstrates his superior intelligence by saving Krolar from the equivalent of a heart attack, performing CPR on him. This is a fun episode of Tarzan, Lord of the Jungle (1976), introducing alien life forms to Tarzan’s domain. There are some remarkable moments in the episode, from the discovery of a force field to scenes of Tarzan evading alien vehicles and technology. 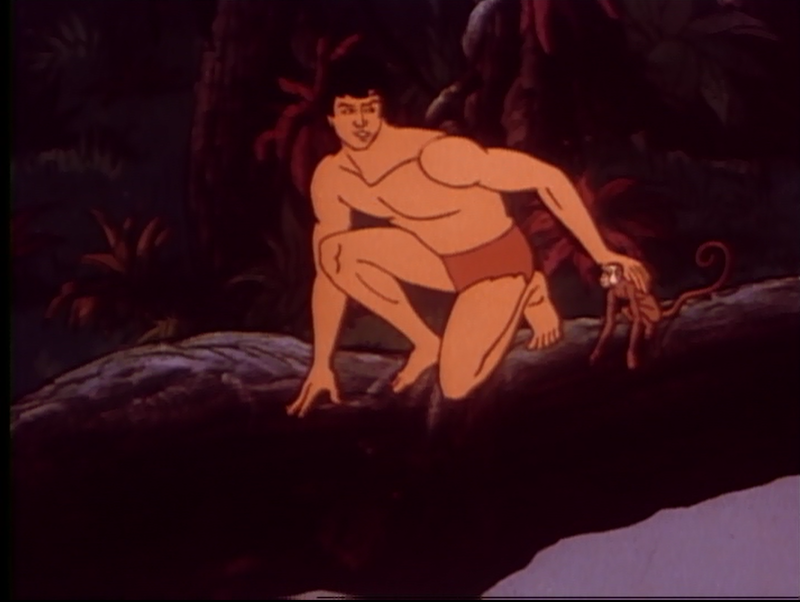 Our lesson of the week -- and since this is Filmation, there is always a lesson of the week -- is spoken by Tarzan. He reports that it is wrong to look down on others. And it is good to have new friends, and freedom, instead of prisoners. This time, those invaders are literally from an outside world…from another planet all together. I also appreciated the mystery aspects of the episode, with Tarzan and Jill investigating an oddity: flashes of light and the disappearance of jungle denizens. The mystery deepens as Tarzan grapples with an uncooperative animal, a jungle cat, that turns out to be a robot, a creation of the aliens. This story also is a nice break from last week’s continuity-heavy story, which required us to remember about fifteen names, of cities, people, and so forth. I needed a score card to keep up. John nice review of "Tarzan and the Strange Visitors". 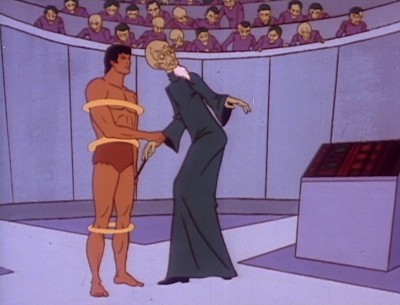 As a boy, Filmation's Tarzan animated series was engaging and this episode of extraterrestrial visitors in '76 was great. Since the '70s was all about UFOs, Bigfoot, Bermuda Triangle and Loch Ness Monster.